I have been a passionate novel reader since my school days and this habit has lingered even after my marriage. I have been a member of the book library in my city for many years from now. For this month, I chose the book, 'The Secret Life of Bees' written by Sue Monk Kidd for my daughters to read. Guess what, I also read this book and find it simply awesome. The crisp story lines and the style of narration made me to ponder into the depth of this book. The book is about a 14-year old girl, Lily Melissa Owens and her adventurous journey in search of her deceased mother's truth and her secret past. The character of Rosaleen, the Black servant was that of a substitute mother to Lily. Her care and love towards Lily has deeply touched my heart. The life of Lily had been full of thorns from her early age of four and since then she was ill-treated by her father. This part of the story really had saddened me a lot. The cruelty and ill-behavior of her father was unbearable. But, as a brave and bold girl, Lily was determined to find out the truth. The part when she was secretly leaving her house and escaping with Rosaleen was very adventurous and thrilling. As the further chapters of this book picked up the tempo, she confronted with many persons like the Beekeeping sisters, August, May, and June and had learned many new things from them. As Lily was friendly in nature, she had learned about the different ways of the life of Boatwrights, their religion, and of course, about the beehives and beekeeping techniques. Above all, I find this book very touching and wonderful. It has a beautiful blend of romance, adventure, morals, and thrills. It is worth-buying and worth-keeping on your bookshelf for you, your kids, and grown ups to read it again and again. 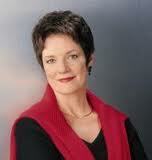 Sue Monk Kidd is the author of the highly acclaimed bestsellers 'The Secret Life of Bees' and 'The Mermaid Chair'. 'The Secret Life of Bees' was her first novel. Selling over 5 million copies, it has become a modern classic and has been adapted into a feature film starring Queen Latifah, Dakota Fanning and Jennifer Hudson.